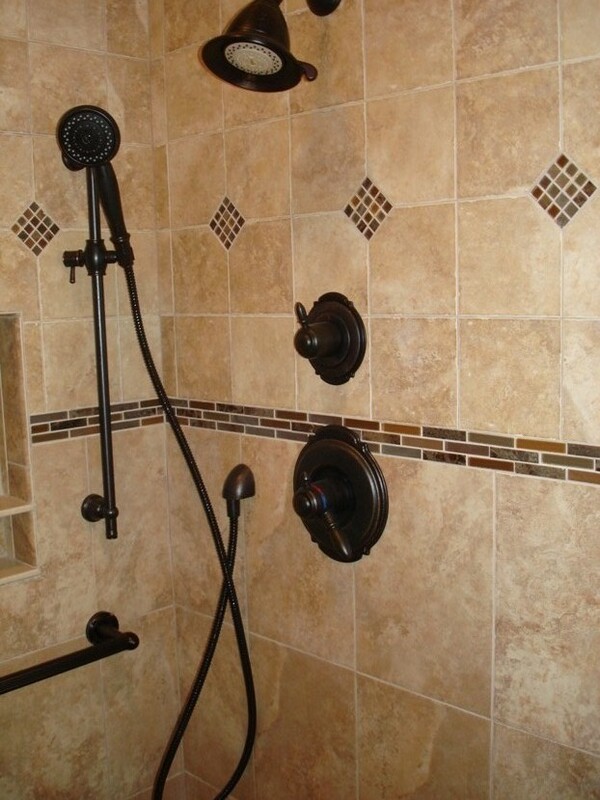 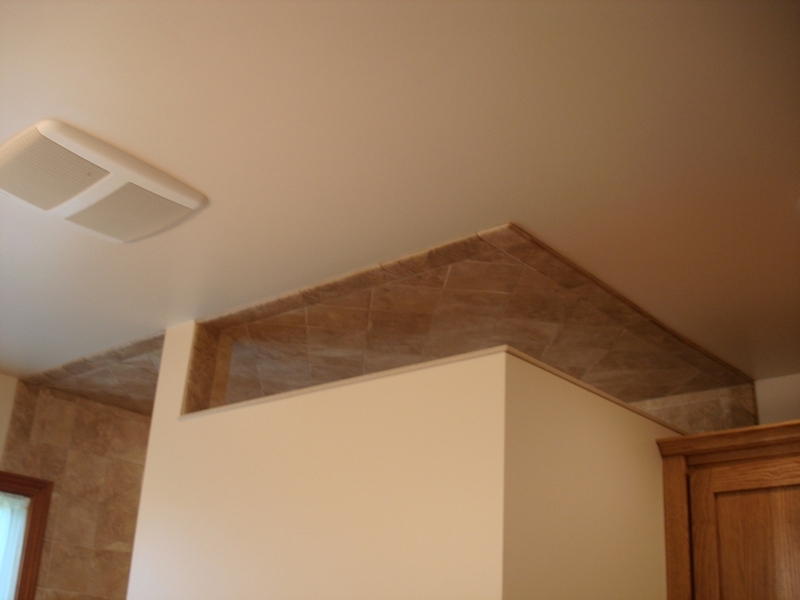 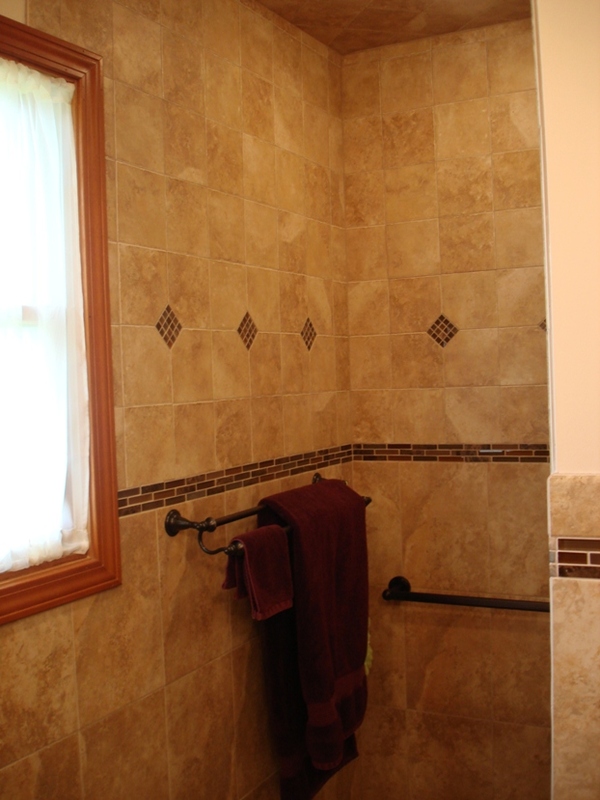 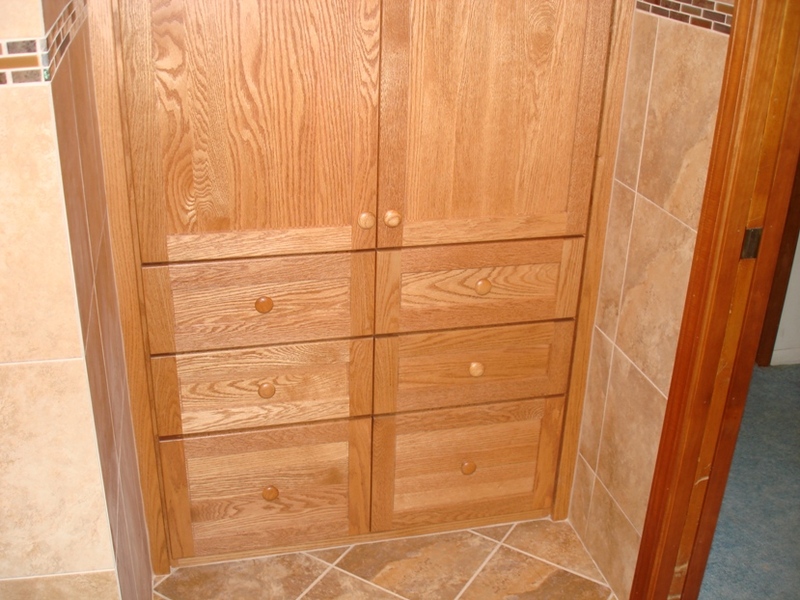 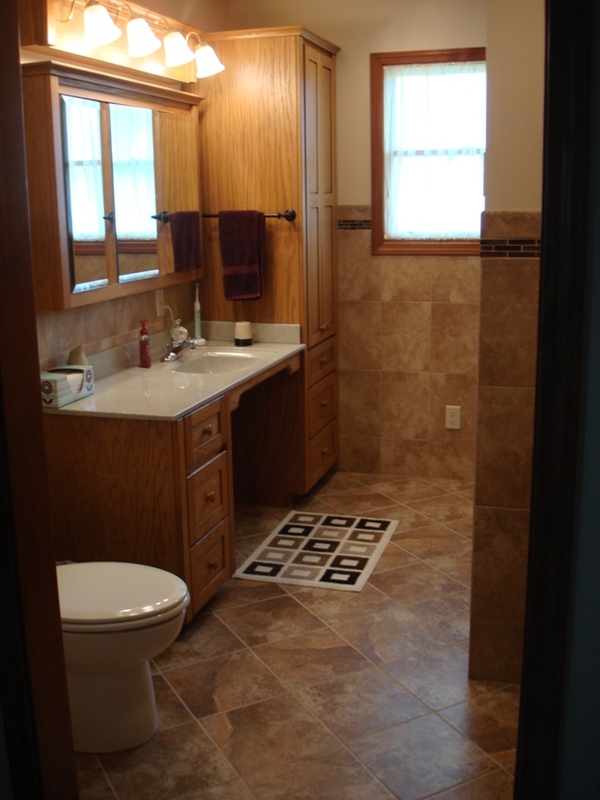 This project was a complete bathroom remodel including a walk-in, no curb, no door shower with a multi-valve head system. 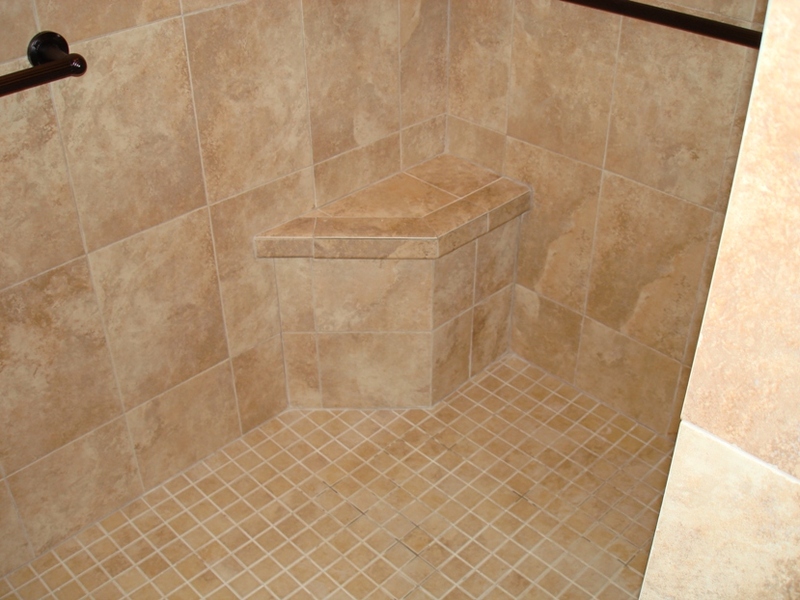 It also has a heated floor system installed underneath the tiled floor. 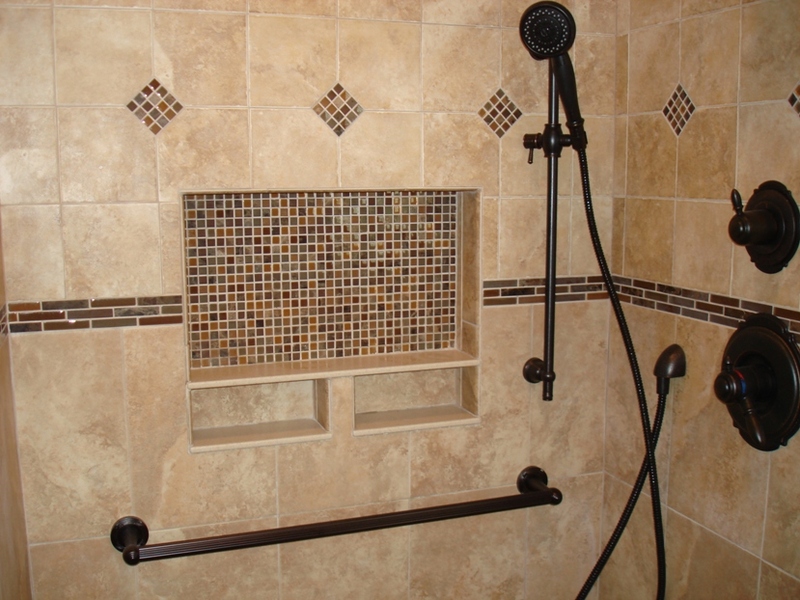 We pride ourselves in taking account the needs of the customer and in this project we added in handicap grab rails, and expanded soap pocket shelves.